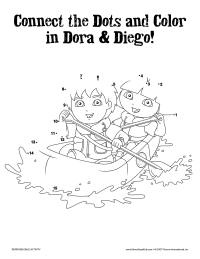 Connect the dots and color in Dora & Diego. Ceated by Simon and Schuster. Find more Go, Diego, Go! and Dora the Explorer books. 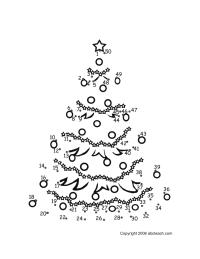 Connect the dots to create a Christmas tree and then color it in! Provided by ABCTeach.